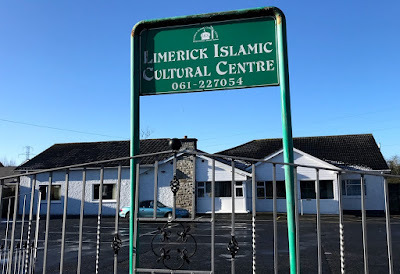 The mosque in Dooradoyle, the site of former synagogues on Wolfe Tone Street, and the old Jewish cemetery in Castletroy were all visiting points during an Interfaith Walking Tour in Limerick organised as part of the Ministry Training and Education programme in the Diocese of Limerick, Killaloe and Ardfert. A variety of clergy and readers took part in the training day on Monday [12 February 2018]. The group met at the Limerick Islamic Cultural Centre and Mosque at Old Dooradoyle Road, established by local Muslims in Limerick. Jumu’ah (congregational) prayers are performed at this mosque each Friday and members also receive Quran lessons. 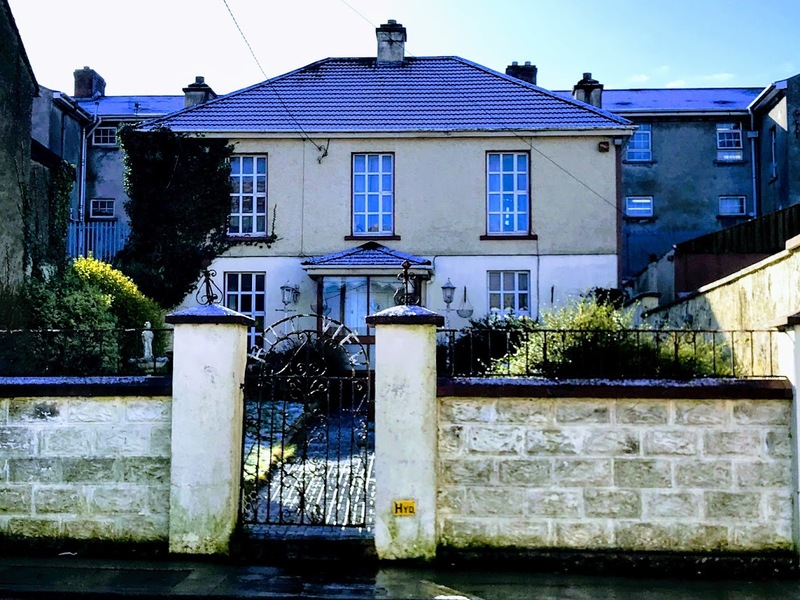 The centre is a converted detached, single-storey bungalow on the Dooradoyle Road, across from the Crescent College Comprehensive. The group then visited places associated with Limerick’s Jewish Community in Limerick, which was once centred on the Wolfe Tone Street area. Although there is no formal Jewish community centre in the Mid-West region today, a number of Jewish families and individuals are living in the area. Jews began to settle in Limerick in about 1881, and for a period in the 1890s there were two congregations at Nos. 63 and 72 Wolfe Tone Street, then known as Collooney Street. The sites visited included No 18 Wolfe Tone Street, where Limerick’s rabbi lived from 1889, and former Model School where the Jaffe and Stein families were beaten up in 1892, the former synagogue at Hillview on Wolfe Tone Street, and the site of the former Ashkenazi Orthodox synagogue at 63 Wolfe Tone Street. From the former Model School on O’Connell Avenue, the group visited the Redemptorist Church at Mount Saint Alphonsus, where Father James Creagh of the Redemptorists preached his violent anti-Semitic sermons in 1904. The boycott that followed caused serious suffering and hardship among the Jews of Limerick. After lunch in Annacotty, the group visited the Jewish Cemetery in Castletroy which is maintained voluntarily by Limerick Civic Trust. 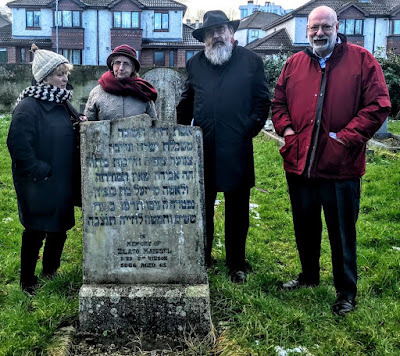 The graves visited include the grave of Limerick’s last rabbi, Simon Gewurtz from Bratislava and the grave of Stuart Clein, who died on 5 March 2012 and who was the last person buried in the cemetery. At the end of the day, the group also visited Kilmurry, a closed Church of Ireland parish church in the Castletroy area. The next training day is on Monday 12 March 2018, in the Rectory, Askeaton, Co Limerick, on the topic ‘Maintaining a sustaining a life of prayer.’ Two sessions are offered: 11 a.m. to 3 p.m. and 7 p.m. to 9 p.m.